AS THE investigation into possible links between the Trump campaign and Russia delivered its first blows on Monday, Donald Trump hunkered down in his private residence on the third storey of the White House with his bank of large-screen TVs blaring. The President grew increasingly angry as the cable news channels broadcast around-the-clock coverage of his former campaign chief Paul Manafort and his business associate Rick Gates turning themselves in to the FBI. The special counsel probe hit both men with 12 sensational charges - including "conspiracy against the United States - relating to a "scheme" that allegedly saw them act as foreign agents for a pro-Russian political party in Ukraine, funnel $75 million through dodgy bank accounts and then lie to authorities about it. 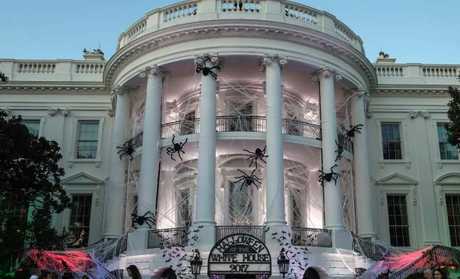 The White House fitted out for Halloween, but is something scarier could around the corner? Mr Trump was "seething" as he watched revelation after revelation unfold on live morning TV, according to an unnamed Republican who spoke to CNN. A report from The Washington Post suggests he spent the whole day "fuming". As details of the indictments against his campaign staffers were beamed across the country, the President reacted with "exasperation and disgust". Downstairs, West Wing staff fretted over why he had not yet shown his face in the Oval Office. "The walls are closing in. Everyone is freaking out," one senior Republican told the Post of the mood inside the White House. 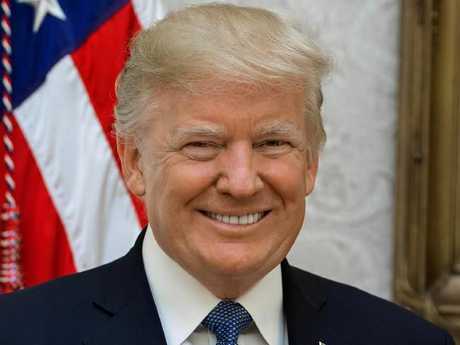 CNN reported that "a sense of tension and uncertainty was palpable in the West Wing" as officials tried to keep Mr Trump focused on the week's busy agenda. "Trump's anger Monday was visible to those who interacted with him, and the mood in the corridors of the White House was one of weariness and fear of the unknown," the Post wrote. Mr Trump felt vindicated initially because Mr Manafort and Mr Gates' alleged misconduct occurred before they were part of the his campaign - and he quickly shot off two tweets to underline the point. But Robert Mueller's investigation - which has been a constant thorn in the side of the new president - wasn't done yet. 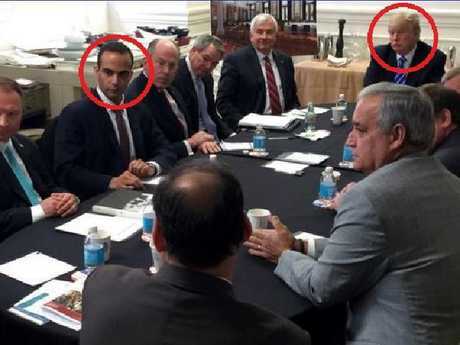 George Papadopoulos and Donald Trump together at a national security meeting in 2016, while Mr Trump was still a candidate for president. After his Twitter blast, the special counsel probe dropped a new bombshell that provided the strongest hint yet that the Trump campaign was interested in meeting with Russian operatives during the White House race. The investigation unsealed court documents that proved Trump campaign aide George Papadopoulos had lied to the FBI about his efforts to work with the Russian government to secure "dirt" on Hillary Clinton in the form of "thousands of emails". He was keen to set up a meeting between Mr Trump and Russian President Vladimir Putin, but a campaign staffer stepped in to ensure that any meeting was held with a "low-level" staffer "so as not to send any signal". As the details trickled out, the President repeatedly called his lawyers and "hunkered down, surrounded by only a handful of aides", CNN reports. He was surprised by the admissions of Mr Papadopoulos, who was not a big name in the Trump campaign. "Really, this is the guy?" Mr Trump said, according to CNN. Mr Trump made his frustration known Tuesday morning, blasting Mr Papadopoulos as a "proven liar". The President was incensed by the developments because they have distracted, once again, from the White House agenda. The administration had hoped to focus on nominating a new chairman to the Federal Reserve and tax cuts but, as has happened so many times this year, its preferred agenda has been pushed off the front page. Mr Trump also tried to shift focus towards the "crooked" Democrats, in a series of tweets on Tuesday. He said the "biggest story" was about Tony Podesta, who quit his lobbying firm after he became embroiled in the Russia investigation. 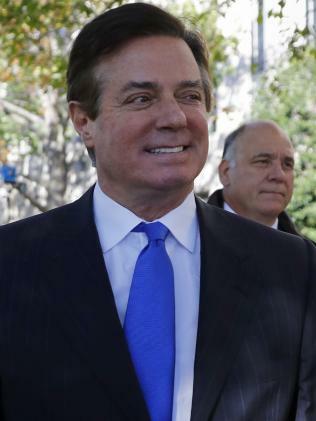 Mr Manafort hired his firm, the Podesta Group, as part of his public relations work for Ukraine between 2012 and 2014. Mr Podesta is the brother of John Podesta, Mrs Clinton's campaign manager. All of this comes as Mr Trump prepares to depart for a mammoth 12-day trip to Asia, where he will visit Japan, South Korea, China, Vietnam and the Philippines. A senior administration official said on Tuesday that it was the longest trip to Asia a US president had undertaken in 25 years. It will be a demanding schedule for a President who dislikes being away from home. He is due to enjoy a round of golf with Japanese Prime Minister Shinzo Abe, sit down face-to-face with the Philippines' renegade President Rodrigo Duterte for the first time and meet troops at an army base in South Korea. He will also seek to apply pressure on China to open up its economy and do more to curb North Korea's weapons program.